One of the main reasons that customers come to us is that they are looking for an SEO content writing service. Even if you are not specifically in the market for SEO content, if you plan to use content online, then you want to make sure it is SEO friendly. We specifically tailor all of our content so that it is SEO friendly, ensuring that you can adapt it for online purposes without damaging your ranking. However, even customers who come to us specifically for SEO content sometimes have questions about what SEO means and how our writers create SEO friendly content. The acronym SEO stands for search engine optimization. When you enter a search into any of the internet’s search engines, you have probably noticed that the search engine returns tons of results. In fact, you may get millions of results if you are searching for a common word or phrase. However, you probably are not going to look beyond the first or second page of a results. Each search engine uses an algorithm to determine which websites come up in the first few results. 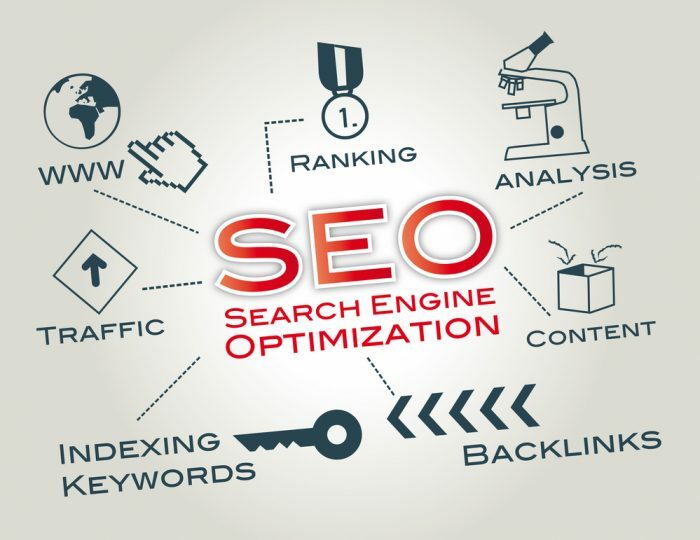 Search engine optimization means that we take what we know about the algorithms in your target search engines, to try to increase your search results in the rankings. What Type of Content Can Be Search Engine Optimized? Any type of content can be turned into SEO content. The higher your rank on any of your pages, the more likely you are to get traffic on other pages, and this increase in traffic results in an increase in your rankings. Therefore, when you think of SEO, rather than considering it a one-off approach for a page or two in your website, you really want to view it as a holistic approach to web-content design. Whether pages are strictly informational, sales, or a mix of both, they will perform better if they are optimized. How can I properly utilized keywords and headings help improve my ranking? To understand the role of keywords, put yourself in the position of someone trying to find something on the internet. Keywords are the words and phrases that you might type into a search engine in order to find what you are looking to find. Not everyone uses the same words or phrases to try to find the same things. Knowing what words and phrases people are most likely to use helps you determine what keywords to use in your research. For example, pretend for a second that you are a hungry person looking for a restaurant where you can buy pizza for one. You might search for restaurant, pizza, Italian, slice, or any combination of those words. You might also search for the specific type of pizza you want, crust sizes, or even toppings. You could look for a restaurant in a particular area, or, if you do not use an area, then the search engine will use the information it has about your location to return local results, first. Now, turn that scenario around and imagine that you own a pizza shop and you sell pizza by the slice. You want people who are looking to buy pizza by the slice and are local to you to find your shop. So, you think you want to include keywords like “Italian restaurant,” “pizza delivery,” or “pizza by the slice” in your text to make it more likely that your potential customers will find you. However, how do you know what keywords to use? If you are strictly a pizza place, it might be easy enough, but what if you are a full-menu Italian restaurant? Your home page would be cluttered if you tried to feature your whole menu on it. That is where keyword research becomes important. You want to drive traffic to your site. To do that, you need to know what terms people who are seeking the goods or services you offer use to find those goods and services. High volume keywords mean that people are already searching for information about those terms, so you want to include them in your results. It is not enough just to have keywords on your page. First, a collection of keywords is off-putting to potential customers. While you want to generate traffic, that traffic is meaningless unless you can convert clicks to customers. Second, the search engines will ding you if you engage in “keyword stuffing.” Your website should not read like a jumbled bunch of Twitter hashtags. Instead it should read like natural English, which just happens to contain your keywords. How do we make sure your content reads like natural English? Well, the first thing we do is look at organization. No matter what someone is reading, they like to be able to break it down into a beginning, a middle, and end. We call that the introduction, the body, and the conclusion. By using that very basic outline for your material, we help ensure that it has a logical and consistent flow. The SEO impact on search engine rankings is very much a snowball effect. We have already explained how SEO is more than keywords. The content also needs to read naturally. However, there are some additional qualifications that you should keep in mind. High quality content, created specifically for your intended audience, is going to increase traffic to your site. The more traffic you get, the higher your site is ranked for authority and relevance for the keywords identified on your page. The higher your site is ranked for authority and relevance, the more likely you are to get additional traffic. To get that snowball rolling, you identify at least one relevant keyword phrase per page and tailor your user content, focusing on that keyword. Remember how we mentioned search engines using algorithms to help determine where a website ranks? One of the factors that most search engines consider is whether the content on the page is fresh. If you are not providing updated content on your page, then the algorithms are written to assume that the website might be dead, and, therefore, not as relevant to users. Providing fresh, relevant content makes your website seem like a better match for people searching for the types of goods and services you offer. However, simply changing your content does not result in an automatic boost in ranking. The algorithms are not looking just at updates. Instead, each time you make an update or a change to your website, you are providing the search engine with an opportunity to review and reconsider your ranking. The more your website gets reviewed, the greater the opportunities for you to achieve a higher ranking. Remember the snowball effect; once you get a higher ranking, you will probably receive more traffic, which will, in turn, impact your ranking. At Writer’s Needed, our SEO Content Writers focus on providing the type of unique and engaging content your visitors want to see, while naturally embedding the keywords that the search engine bots are looking for when they look at your page. Whether our writers are creating articles, news releases, blog posts, product descriptions, or informational pages for your website, they are always incorporating keywords and SEO strategies into the product, to help increase your rankings.